Westford, MA has long been the home to one of my favorite ice cream places, Kimball Farms, but for years this town wasn’t exactly a culinary destination. However, in the last year or so, the area has experienced a growth spurt and many new establishments both retail and dining have sprung up lately. Recently, we were heading back from Boston and decided to try dinner at Belle's Bistro. If you are familiar with the area, the restaurant is in the space where the Ye Olde Beef-n-Ale stood. 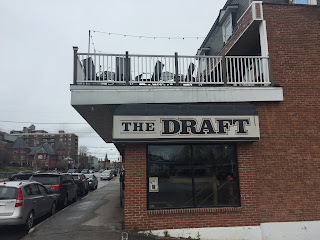 We found this to be a welcome addition to the local restaurant scene and within easy driving distance of the Nashua, NH area. Our waitress stopped by for our drink order. 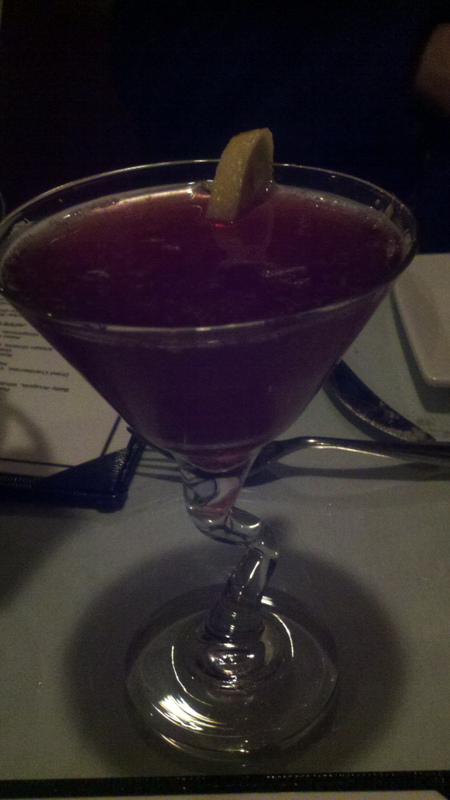 My wife commented that her Pomegranate martini was nicely prepared. I looked over a small menu and given that this was our first time at the restaurant asked our waitress for help. 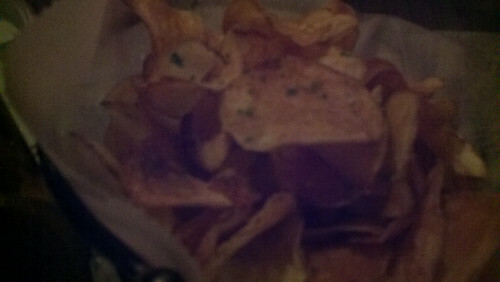 She suggested one of their appetizer specials, warm homemade potato chips with gorgonzola bacon dressing. A decent selection, I only wish the dressing had been a little thicker. 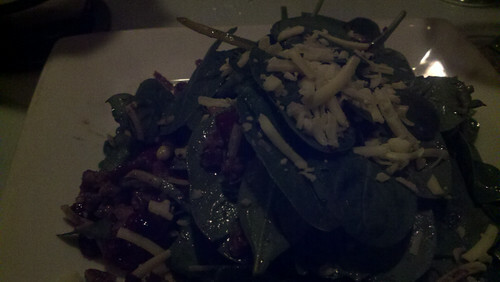 Next, we split one of their spinach salads covered with a light maple bacon vinaigrette dressing complemented nicely by dried cranberries, Vermont cheddar cheese and candied pecans. We had a difficult time choosing an item from the entrees. Not only has the chef gone with only a few choices but some of them seem a little risky. Although we did not sample on this day, the New Orleans Etouffee, a stew with shrimp, crawfish and andoullie sausage is a dish that you would not typically find in New England. 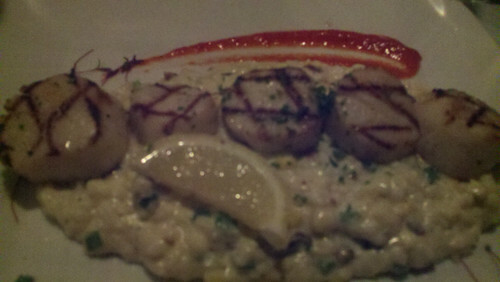 With tender scallops cooked just right and served on a layer of sweet corn and scallion risotto, they could probably serve the risotto as a separate dish. It is that good. 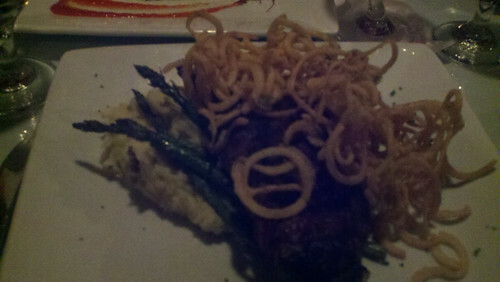 I, on the other hand, decided on their grilled sirloin steak with garlic mashed potatoes, grilled asparagus and crispy fried onions. Although I was disappointed that they did not have a filet, this was prepared to my liking. Medium well and enough marbling to give it a nice flavor. 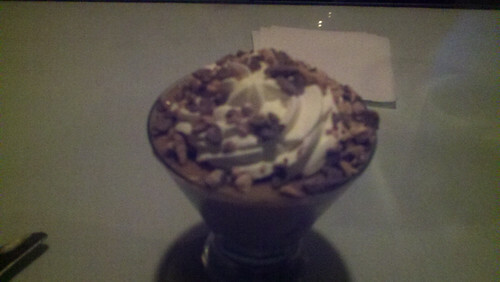 Most of their desserts are homemade and we were pleased with their butterscotch pudding. We were both impressed with our server. She was attentive when needed but not overly so and she was very pleasant. The prices on the entrees seemed a little high and I would like to see a few more menu items. That said you can't argue with success and Chef Alan Lantz has found it here. 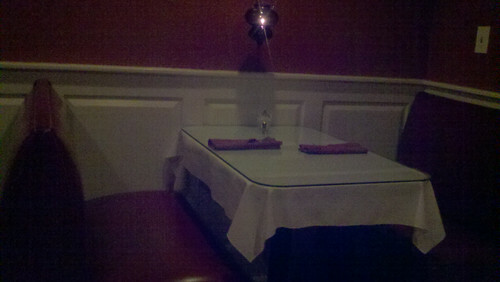 The food was well prepared, service exceptional to go along with their cozy environment. We recommend that you visit Belle's Bistro.